The Science Fiction and Fantasy Writers of America (SFWA) is currently holding its annual conference in Pittsburgh, Pennsylvania this weekend, and last night, the organization announced the winners of its prestigious Nebula Awards. N.K. 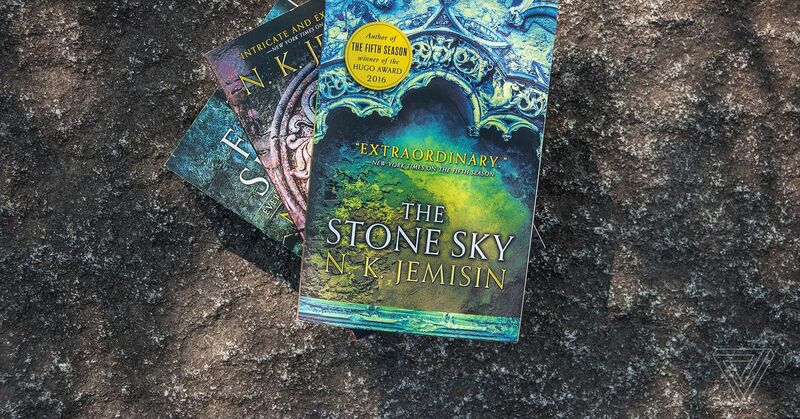 Jemisin’s The Stone Sky won the award for best novel. It’s the final installment of her Broken Earth trilogy, about a far-future Earth that experiences periodic, devastating apocalyptic events, and it’s a work that establishes Jemisin as one of fantasy’s best writers working right now. Other winners included Martha Wells’ first Murderbot book, All Systems Red, which earned Best Novella, Kelly Robson’s “A Human Stain” for Best Novelette, and Rebecca Roanhorse’s “Welcome to Your Authentic Indian ExperienceTM”, for Best Short Story. Jordan Peele’s film Get Out won the Ray Bradbury Award for Outstanding Dramatic Presentation, and Sam J. Miller’s The Art of Starving earned the Andre Norton Award for Young Adult Science Fiction and Fantasy. The organization also awarded The Last Unicorn author Peter S. Beagle the Damon Knight Memorial Grand Master Award. He joins other well-known authors such as Joe Haldeman (The Forever War), Ursula K. Le Guin (A Wizard of Earthsea, Left Hand of Darkness), Isaac Asimov (Foundation, I, Robot), and others. The Nebula Awards are awarded annually by SFWA, whose members nominate their favorite works from the past year. This year’s nominees represent a diverse body of work from 2017, and a number of the books made their way onto our best of 2017 book list last December.